They’re everywhere. Howling or moaning their way through movies and across television screens. Wherever they are, they’re always hunting – us. Where did these ideas originate, and what’s the underlying grain of truth, if any, to zombies? Join Cécile Accilien, Ph.D., as she shares the story of what we’ve come to call zombies. She’ll also discuss what it might reveal about our culture that we’re so smitten with them. Taking a closer look at the undead just might help us understand the living. Dr. Accilien is an author, presenter, Associate Professor of Haitian Studies and Director of the Institute of Haitian Studies at the University of Kansas. 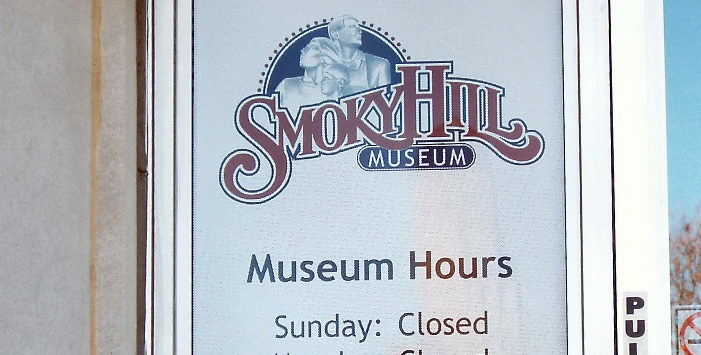 The Smoky Hill Museum hosts this free presentation on Thursday February 7, from 5:30-6:30 p.m. To accommodate a larger crowd, the presentation will be held at the First United Methodist Church’s Fellowship Hall, 122 N. Eighth St., just across the street from the Museum.